$10 / 1yr subscription brings you uplifting content on your mobile device each month. What a deal! On the go? So is Pressing On Magazine...Download a free sample today! Welcome to a new era in Christian writing and publications. Welcome to a magazine that will go with you wherever you go. Welcome to outstanding writers and the ease and low costs of digital publishing. Welcome to a place where you can grow spiritually. Welcome to Pressing On magazine! Each month you can read Wilson Adam's encouraging and thought provoking writing in his column Be Strong and Courageous. You will benefit from Dee Bowman’s combination of common sense and Scripture in Be Wise Small. Chuck Durham will connect history and God’s Word in his column Now and Then. Warren Berkley will make truth stand out each month in Truth Connections. Mark Roberts will bring the Bible to bear on contemporary issues and problems in On the Mark. Look around. Get to know us. Download a free sample. Subscribe. We believe Pressing On can become an important ally in your efforts to develop and maintain a high level of effective discipleship. Check out the special September issue HERE! 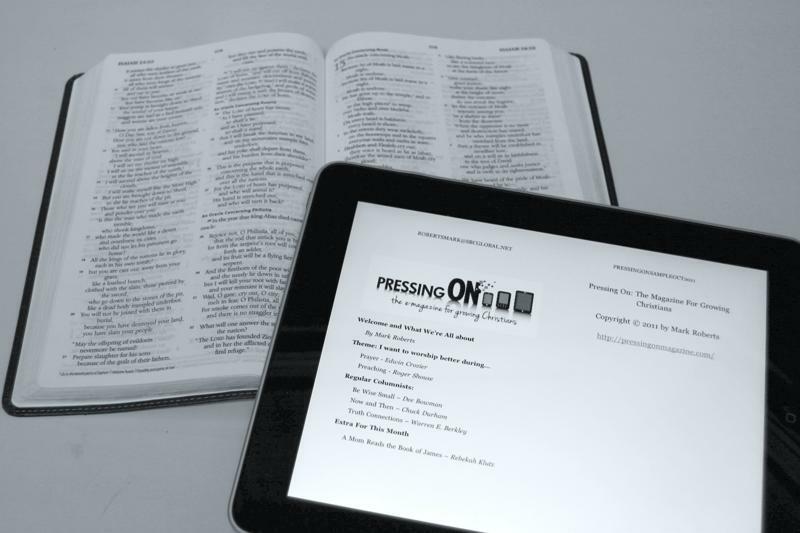 Try a sample of Pressing On Magazine right on your Kindle! Android, Blackberry and other device users rejoice! Pressing On is available for you too right from the start. Decide which device you'd prefer to receive your subscription on. 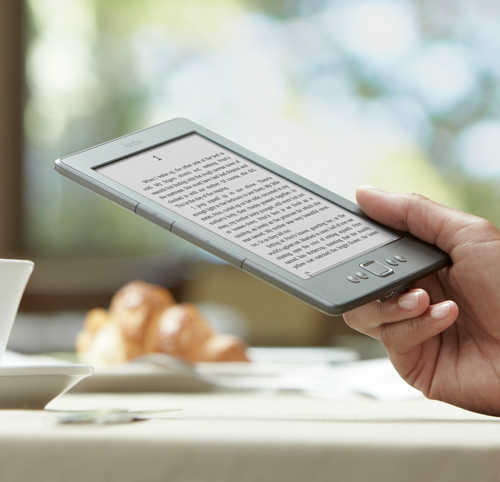 Is it a Kindle, iPad, iPhone or Nook? Try before you buy! Check out the sample issue for your device to see how easy it is! Don't miss a single issue! 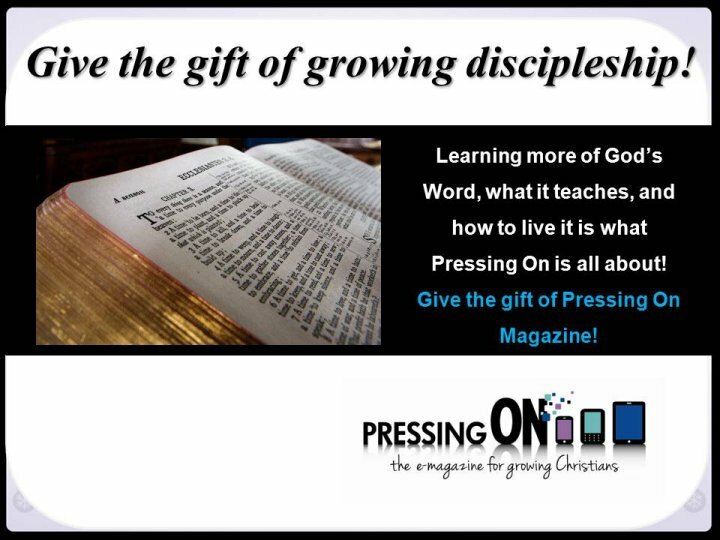 Subscribe to Pressing On Magazine and you'll receive the latest issue every month. 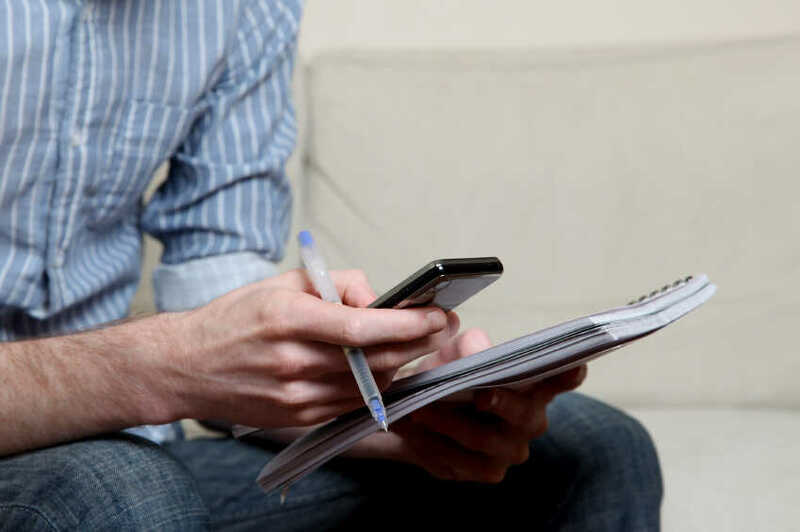 We'll deliver your next issue to you automatically via email each month. Don't forget to check your email! Click Here to Subscribe Only $10 for 1yr. What a Deal! Choose Your Device. Try a Sample Issue for Free! © 2011 Copyright by Lower Light Publications. All rights reserved.